He is also on Time’s list of the 100 most influential people of the year. Although that list is kind of a joke, I am not sure what Sanjaya Malakar and quite a few other not-so-influential people are doing there. It is also a joke (and an extremely stupid joke, I must say) that Dawkins’ profile was written by Michael Behe, a creationist and intelligent-designer-ologist (whatever). 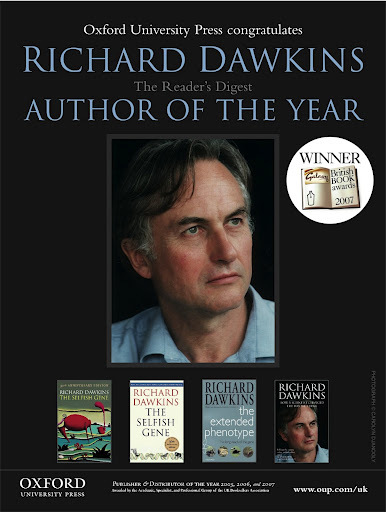 Anyway, congratulations to Professor Dawkins, who could be and should be voted, as far as I am concerned, the author of the century.